Every Friday night from 5pm - 11.30pm we have TAPPED! The best of soul, disco, R&B, funk and more with DJs Afromuza and Handsome Black Man! So come on down from 5pm every Friday and start your weekend the right way with great craft beer and the best beats in town! Here at Tap East we're not just beer lovers, we're Whisky lovers too. That is why in the 2nd week of every 2nd month we've teamed up with the Whisky social to bring you a selection of the finest Whisky's and Bourbons from around the world to warm the cockles of your heart! 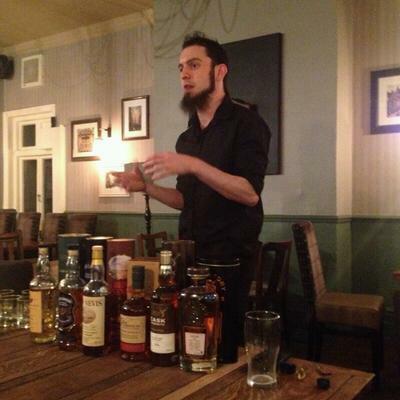 Hosted by George Aldridge, a man dedicating his life to craft beer and spirits, a choice of Whisky's are served up in this magnificently well put together tasting session that's bursting full of flavour some knowledge! Join Katie from Queens of Hop for a superb curation of Belgian beers that are rarely seen in the UK! Tickets are £20 plus a booking fee and events are usually on a Sunday evening so you can finish your weekend with a bit of Belgian class! The next tasting is on October 21st and you can find tickets at the bar or by clicking HERE! !